While the steel structure of a shipping container literally offers tons of security, perhaps it’s added protection you want. 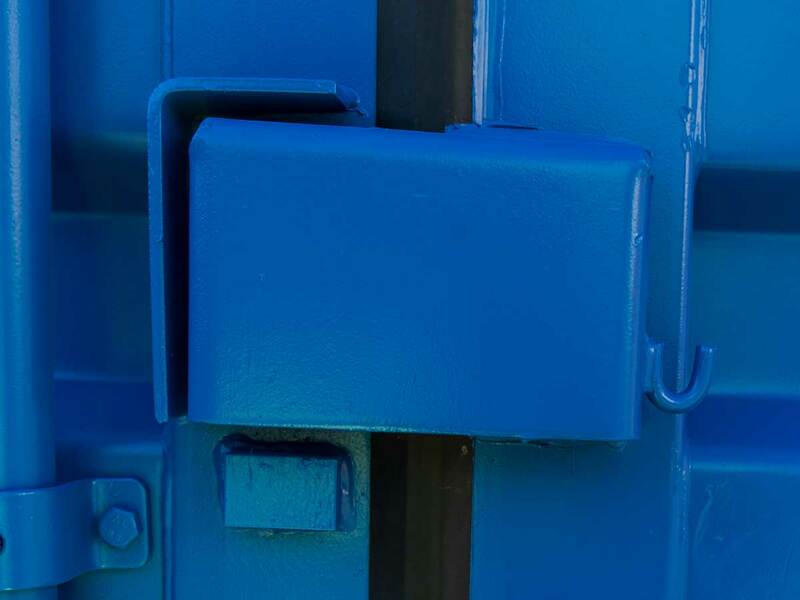 For extra peace of mind, have Interport place a security lock on your metal container in the form of a shipping container lock box, a steel box welded directly onto your container door to safely and discreetly house your locking mechanism. For added security, opt for a door bar on any door of your shipping container. This steel bar goes across your door and secures it with a lock box on one end. To prevent users from becoming locked inside the metal container, a panic bar is a spring-loaded horizontal bar mounted on the inside of an outward-opening door to allow the door to be easily opened from the inside. Fire codes may require shipping containers used as office containers or by schools to include a panic bar on all interior and exterior doors. Protect your shipping container’s windows and contents by adding window bars. Interport can install these steel security bars across your container windows to prevent people and animals from breaking the glass and getting inside. Keep thieves, animals, and pests out of your shipping container with an added steel mesh security screen.